Thanks to the legendary Ray Bradbury for inspiring this comic. Which is why they hosed them down with gasoline or kerosene first. This is delightful! 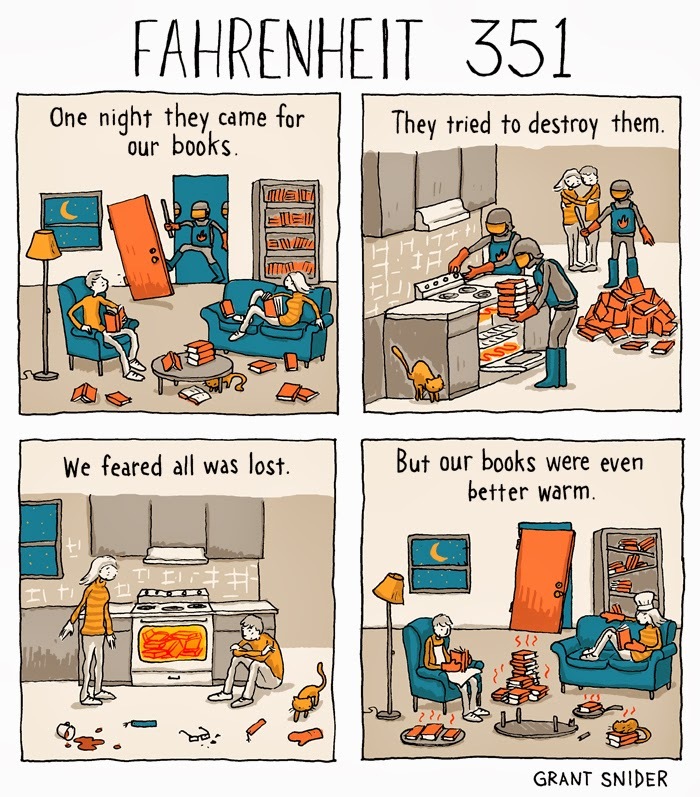 Fahrenheit 451 happens to be a favourite book of mine.